comfortable to drive with plenty of room for the family! Looking for one of the most comfortable rides, without breaking the bank? 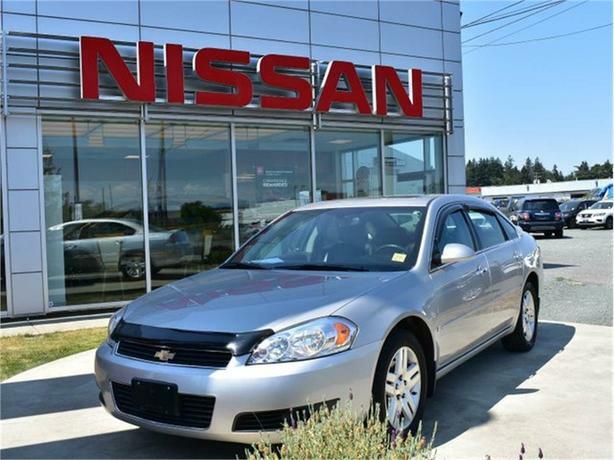 This 2007 Chevy Impala is the perfect under $10,000 car, in fact it under $8000 WOWZA! Taking the family on a trip no need to worry it has ample room for everyone and you won't be cramped with bags at your feet, because the trunk space is outstanding. And equipped with air-conditioning and a sunroof for your hotter months, cruise control for longer trips and even leather interior for luxurious comfort. We put all our vehicles through a detailed Safety Inspection to ensure it was safe and ready for worry free driving. If you would like a copy of this and/or the Carproof Report, no problem we will send it to you. Call one of our experienced Sales Consultants and book your no obligation test drive, 250-287-7272.